It’s not by accident that Hyundai chose Montreal to hold the first press drive of the redesigned 2018 Accent. Thirty percent of all Accents sold in Canada are sold on the island city, which is more than double the number of units sold in Toronto and Ottawa combined. 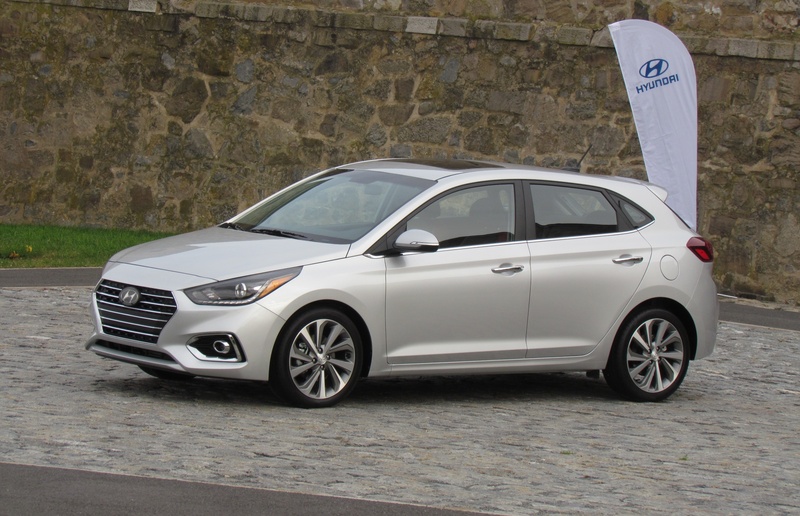 Those numbers have helped Hyundai maintain the top spot in the Canadian subcompact segment since 2009, outselling the Ford Fiesta, Honda Fit, Kia Rio, Nissan Versa, and Toyota Yaris, in some cases by more than double during that time. The reason for its success is easy to understand: Aside from the diminutive Nissan Micra and Chevy Spark, it’s the least expensive car in its category. But despite its low price (the 2017 Accent starts at $13,999; 2018 pricing to be announced), the new Accent offers a compact-sized interior, and a drive quality that belies its entry-level status. As with the outgoing version, the 2018 Accent is available in sedan and five-door body styles. Curiously, the five-door model, which represents 65 percent of Accent sales in Canada, isn’t available south of the border. The four door comes in three trim levels, LE, GL and GLS, while the five door adds a frill-free base L model to those. The four-door GLS is available only with an automatic; all other models offer both transmission choices. Available wheel sizeds have grown by one inch to 15 inches, and 17 inches on the top trim.